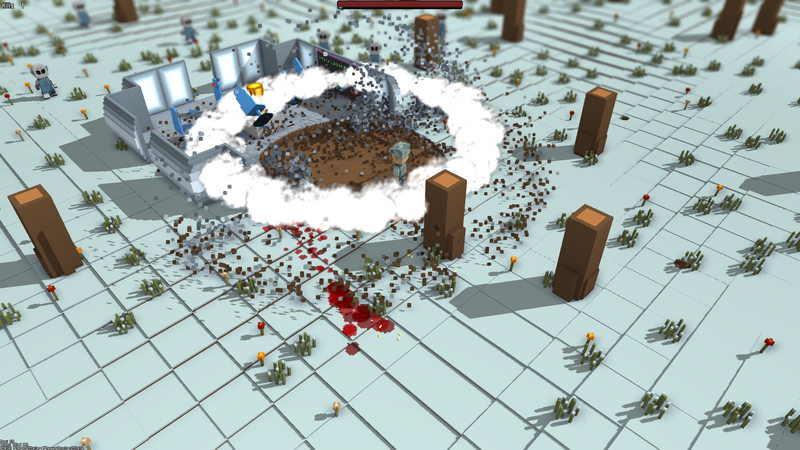 Critical Mass has been renamed to Critical Annihilation to avoid confusion with the other game named Critical Mass on steam. The previous version will stay up as well for now until the current one is completely stable. Very short video testing out some of the new effects, still a work in progress.. 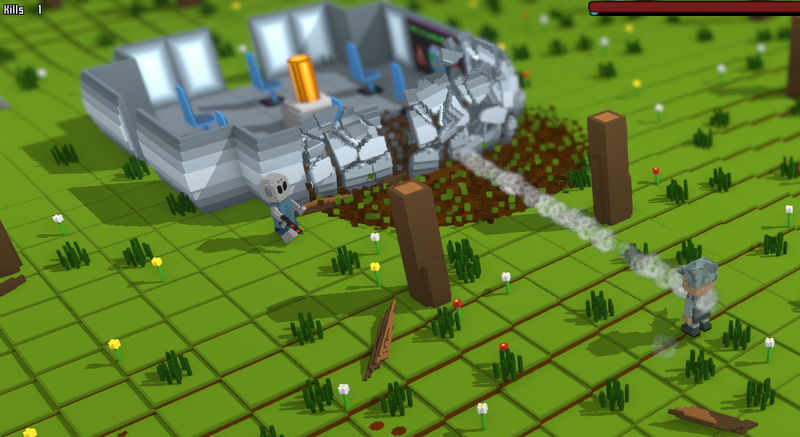 Here are some of the new real-time shattering methods in the engine.. 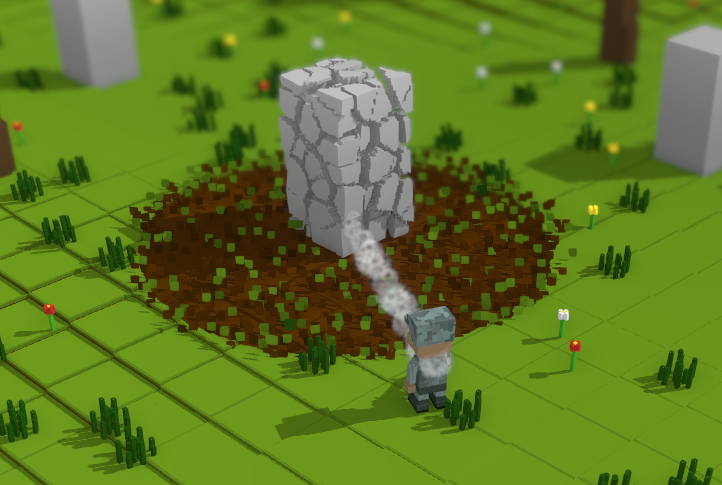 Blowing up rocks now shatters them using voronoi cells. 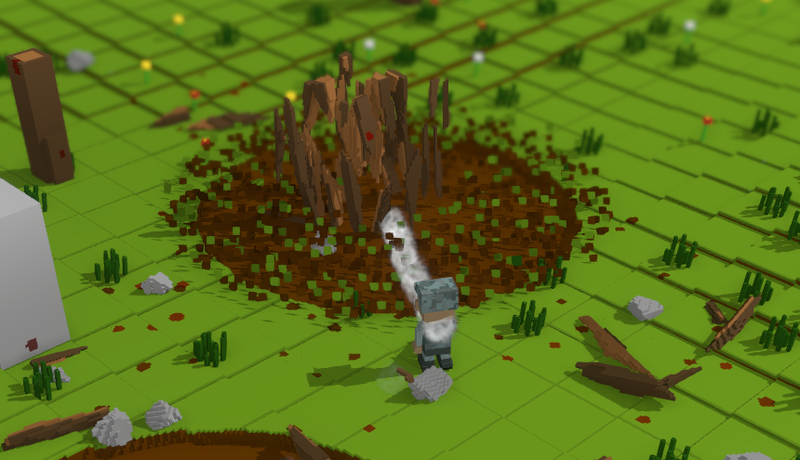 New tree/wood destruction, shatters into splinters again using voronoi cells which are extended in the direction of the wood seams. There’ll probably be some more shatter effects coming soon. I’ll also post a small game play video showing some of these this weekend. 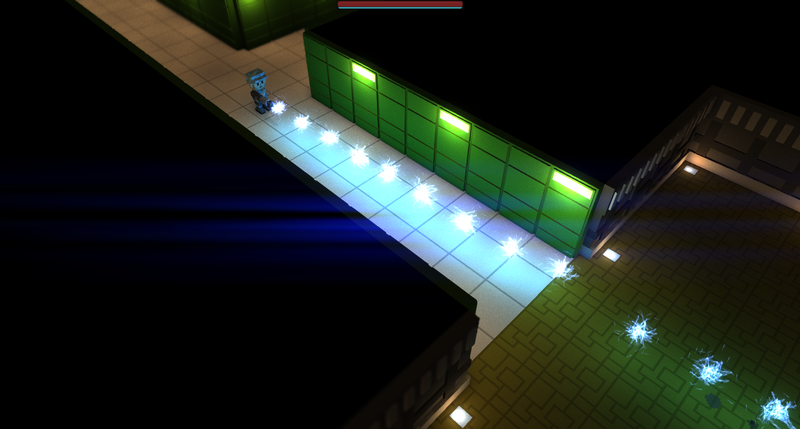 Voxels have lighting properties now, this makes it possible to set up lights in the walls and floors as well as global lighting. 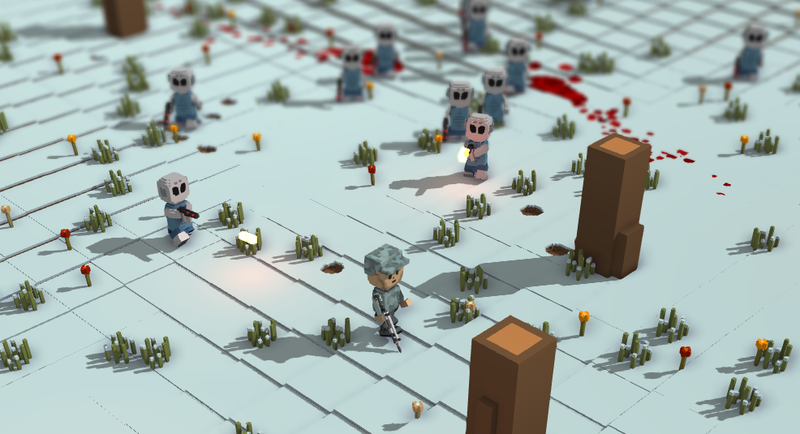 They can also emit shadows but that’s a bit heavy on the graphics card so won’t be used to much. I’ve also been working on a map editor to be able to create some more interesting indoor maps. The above screenshot is a very simple example, it doesn’t have any props yet but shows off all the new effects and lights. 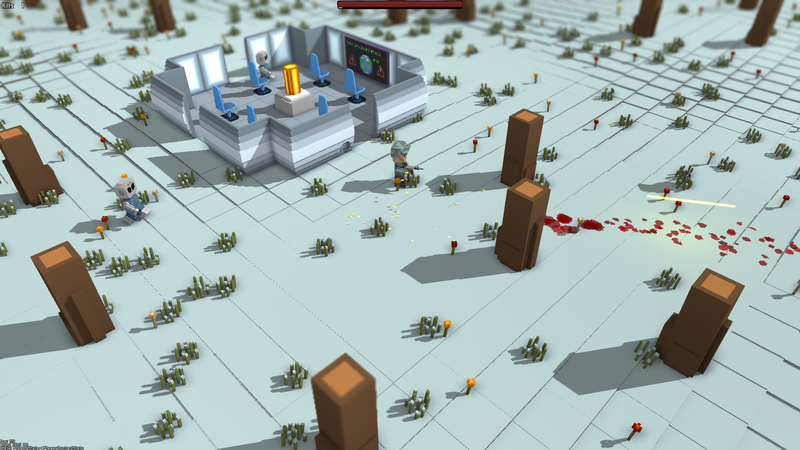 Finally got around to fixing the animations for shooting for the rifle and strafing. Although the strafing still looks a bit awkward. Updated version of Critical Mass containing these changes is up at Kongregate. Will post it to Game Jolt as well once I get both leader boards working together without having to rebuild everything.